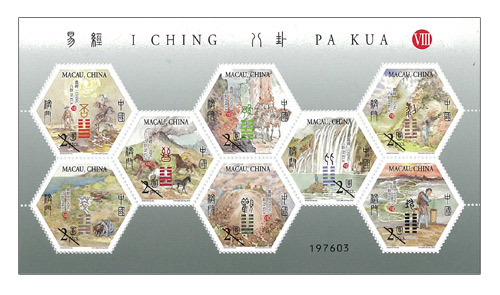 Macao Post issued seven series of stamps “I Ching, Pa Kua” between 2001 and 2010. 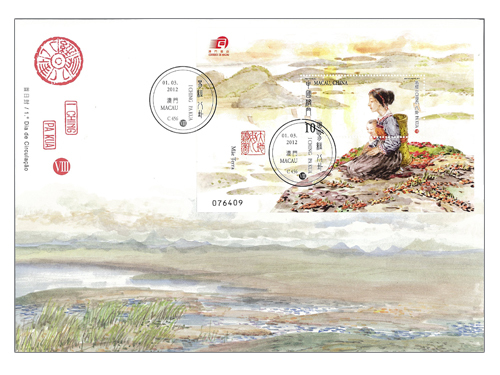 The eighth series will be issued on 1st March, 2012, and it is also the finale of this stamp series. 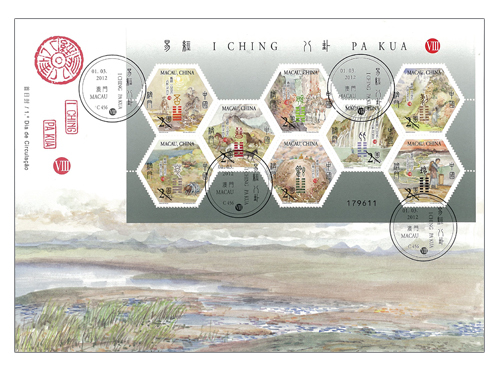 The symbols of Kua in this series of eight stamps are: Pi, Cui, Jin, Yu, Guan, Bi, Bo and Kun. 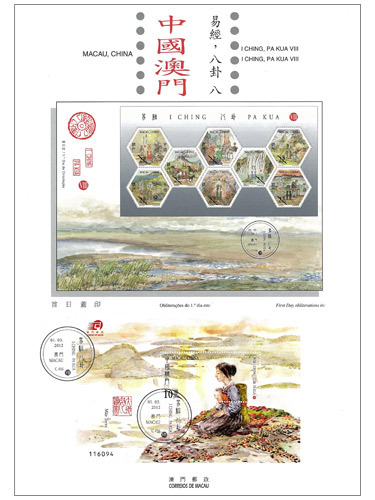 The design of the souvenir sheet is based on the symbol “Kun” which means “Earth, Mother, Wealth, Grand”, the picture is entitled as “Earth as Mother’s Devotion”. 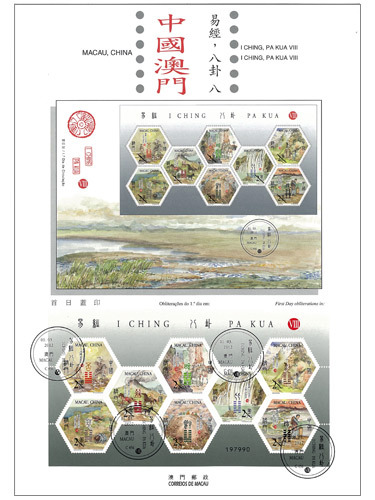 The design of this stamp issue and the text of the information brochure are come from Mr. Chan Chi Vai, President of Association of I Ching Investigation. This is the third issue in 2012. 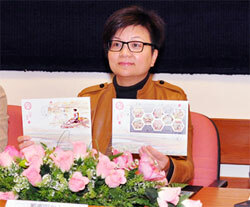 The previous issued stamps are “Lunar Year of the Dragon” on 05/01/2012 and “A New Era of Smoke-free Macao” on 31/01/2012. 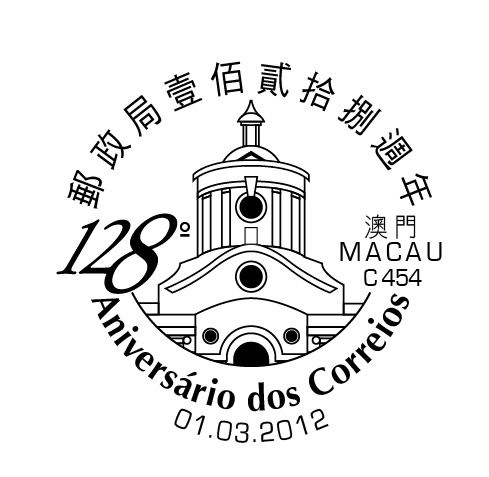 To celebrate the 128th Anniversary of Macao Post, Macao Post announces that a Temporary Post Counter will be set up at our Philately Shop located at Macao Post Headquarters and the Communications Museum on 1st March 2012 to provide the commemorative postmark cancellation service for the “128th Anniversary of Macao Post”. Philately Shop of Macao Post Headquarters: 9:00a.m. to 17:30p.m. Shop of Communications Museum: 9:30a.m. to 17:30p.m. 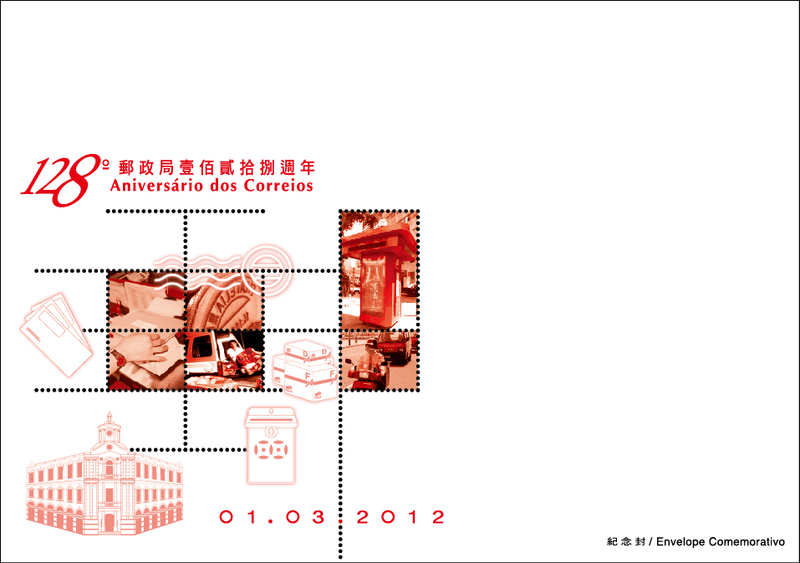 To celebrate the 6th Anniversary of Communications Museum, Macao Post announces that a Temporary Post Counter will be set up at our Philately Shops located at Macao Post Headquarters and Communications Museum on 1st March 2012 to provide the commemorative postmark cancellation service for the “6th Anniversary of Communications Museum”. 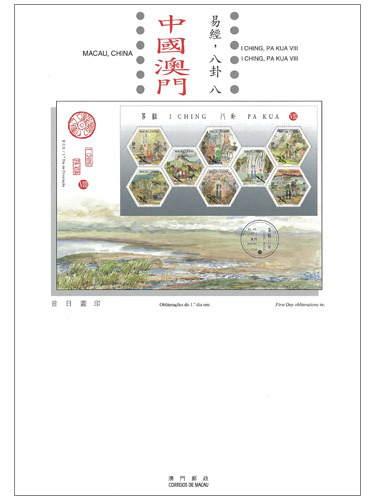 Various philatelic products are available for sale during the above activity. 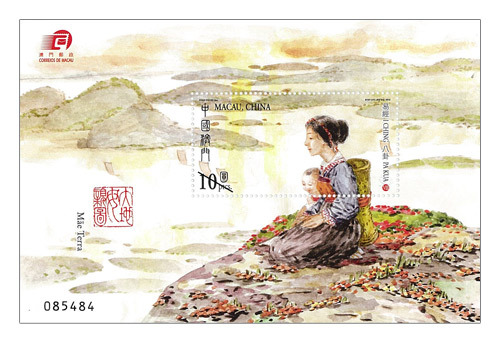 Welcome to visit and collect Macao Stamps! To celebrate the 60th Anniversary of the Founding of SMG, Macao Post announces that a Temporary Post Counter will be set up at the Convention Center of Macao Science Center, from 13:00 to 17:00 on 23rd March 2012 to provide the commemorative postmark cancellation service for the “60th Anniversary of the Founding of SMG”. 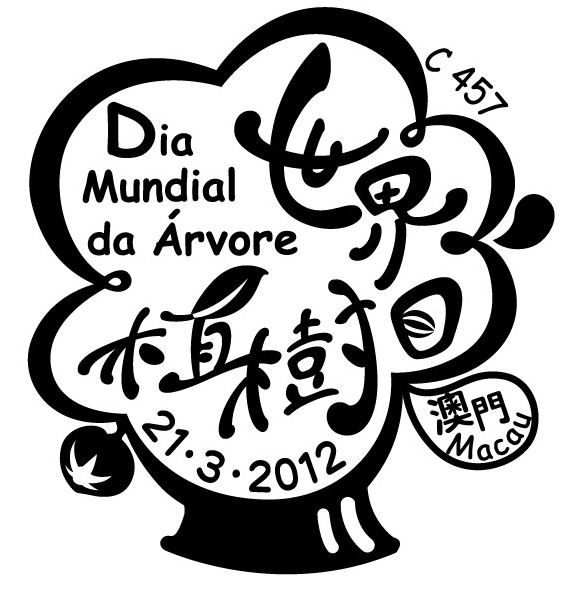 To celebrate the World Forest Day, Macao Post announced that a Temporary Post Counter will be set up at Senado Square, at 10:00 to 18:00 on 21st March 2012 providing the commemorative postmark cancellation service for the “World Forest Day”. Besides, Macao Post will distribute the above-mentioned envelope on 5th to 20th March at Macao Post Headquarters and all post offices.